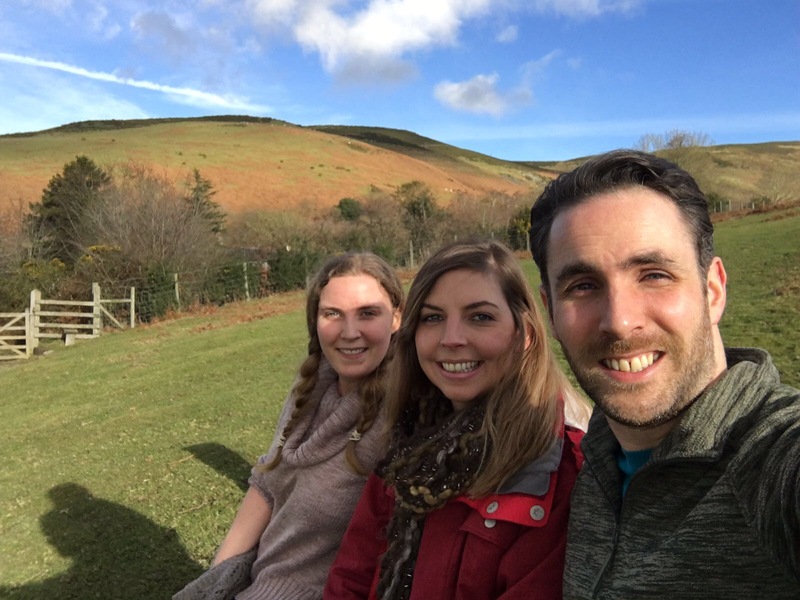 This weekend was my first visit to Wales to see the V-E family since starting to learn Welsh. I was a little apprehensive that I would be bombarded with Welsh and have to embarrassingly blink blankly back at the converser. But none of that happened at all and I actually really enjoyed practicing my Welsh in real life. 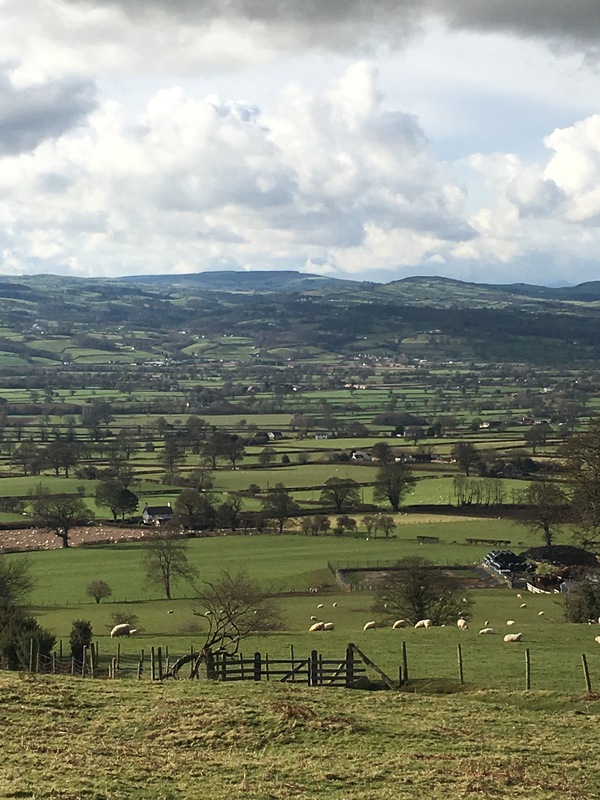 The photo above is of the Vale of Clwyd which I took on my walk this morning. Never get bored of that view. Wel-ish was spoken in full force by me, encouraged by Ian, Hedds dad, who says that over time there would be less English in the sentences but not to worry about it. It’s better to say half a sentence in Welsh than resorting to English completely because I haven’t learnt or remembered perhaps just one Welsh word. The whole V-E family were very supportive and I even got a “I’m impressed” which I took with great appreciation. I made the most of being in BBC Radio Cymru signal catchment and had that playing in the car all weekend, so I got a bit of immersive learning as we traveled about. I honed my ‘Wales supporter’ vocabulary during the Wales v Italy Six Nations Rugby game (Wales won 33-7, get in!). And I practiced my weather and animal vocab on Hedd and Awel as we strolled the Welsh hills. So all and all a pleasing weekend on the Welsh practice front! As per I’ve been completing at least 2 lessons on Duolingo each day. This week I have enjoyed lessons on family and weddings. Bride/ groom / mother in law/ wedding dress- all vital vocab for a priodas (wedding) lover like me! Duolingo is also equipping me to be decisive, completing lessons on “must” and “must not”. Watch out Hedd! Today I completed challenge 5 of ‘Say something in Welsh’ (SSIW) audio learning course and was met with the encouraging message above. Aran from SSIW promises that if get past level 5 then chances are you are going to become a very able Welsh speaker- hooray! I found lesson 5 not too bad. I learnt new words like “I’m not sure” / “dw i ddim yn swre”, “interesting” / “diddoral” and “if” / “os”. Along side recapping on words learnt previously in lessons 1 to 4 but using them in different sentences. All meant to deepen the memory of the vocab by repetition which I definitely think is working. Now that I’ve completed challenge 5, I have a listening exercise to do for 5 mins each day until I reach challenge 10. It’s all downloaded on my phone so I’m planning to do it each day on the train during the annoying “wifi black spot” on the commute to work. Nifty way to pass the time me thinks! Oh in the my last post I was telling you I couldn’t decide whether to go back and repeat any of the SSIW lessons to embed the learning. Well, with the help of Aran’s advice (thanks Aran! ), I’ve decided to press on and not repeat any. So this time next week I will be able to regale you with the stories of SSIW lesson 6. Tara am rwan/ Tara for now!